Although most people would admit that doing washing isn’t their favourite pastime, the fact is that most of us spend a large chunk of time every week doing our own, and our family’s, laundry. Those of us with a less-than-ideal laundry area know how frustrating poor cupboard design, inconveniently placed power points, a lack of bench space and a small sink can be. The good news is that there is an easy fix for an unsatisfying laundry – for less than you might think! Not only does Brisbane Bathroom Bliss design brand new laundries, our team are able to assess and renovate your current laundry space. Laundry renovations in Brisbane is one of our specialties; we will look after the process from start to finish, coordinating various tradespeople along the way. We can help you create a unified and simple design with the space and appliances that already exist within your household. 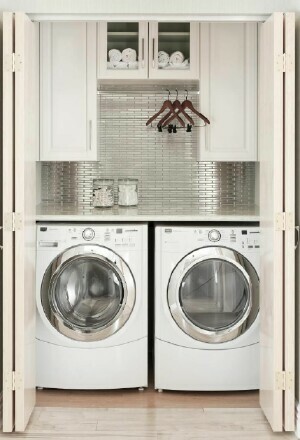 We will help you increase functionality and productivity when doing the washing, but also add value to your home.